Email marketing is one domain which every internet market aspires to master. The reason being that email marketing is the most cost efficient way to fill in your bucket of loyal customers. Email marketing basically deals with promoting any product or service by means of sending emails. It is the easiest way of reaching out to the customers, and you can reap long term benefits if you play your cards right. However, to manage a huge list of emails one needs an effective email marketing solution. Something which can automate the monotonous & repetitive tasks and simultaneously aid your creativeness to roll out. Though there are many email marketing tools out available on the internet, currently we have chosen two of the most prominent ones in the market. So, we’ll be comparing all the features of GetResponse and Mailigen email marketing tools. So let’s get started. 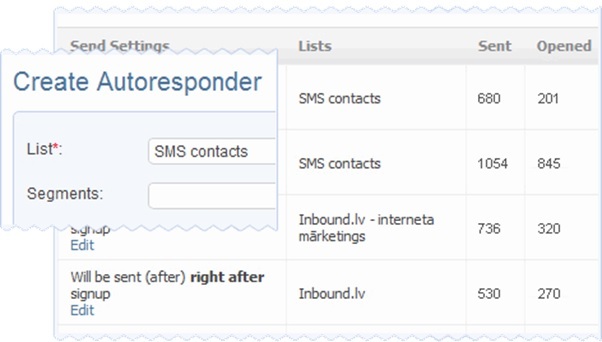 Autoresponders as the name suggests makes your task easier by quickly replying your customers with a follow back messages when they subscribe. Not only this, you can choose any such event on the occurrence of which a particular message shall be sent. Hence, you don’t lose any customers as a result of not replying to them on time. This feature can be found in GetResponse as well as Mailigen. Both the services will support your campaigns with automatic response. To make your readers stick to the content, one needs to make sure that the email is appealing enough. Moreover, one should also keep in mind that the designed email looks similar irrespective of the device used to read it. GetResponse allows you to create such custom responsive emails. Mailigen, along with this utility also offers a drag and drop interface which promotes hassle free designing. 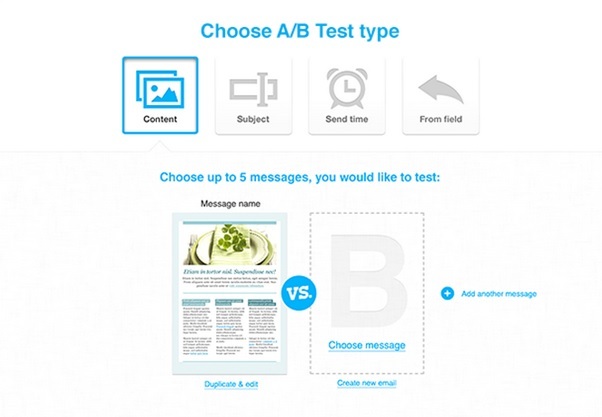 Through A/B Testing you can experiment by creating various test campaigns. You will get an auto generated report which will help you to analyse the efficacy of your campaign. Hence, you can decide which type of campaign works for you. Fortunately, A/B testing is present in both, GetResponse and Mailigen. Hence, you can be assured that irrespective of which email marketing tool you buy, A/B testing will accompany you. 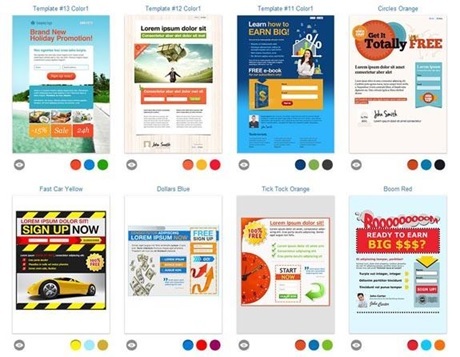 An attractive landing page goes a long way to attract customers. Using GetResponse, you can try out a large number of predefined landing page templates for your campaigns. Further you can even design an effective landing page using your creativity with the help of simple drag and drop interface. Though you won’t find such kind of facility in Mailigen. And this is where Mailigen earns some negative points. No matter how many aspects we cover in this comparison, but it all comes down to what a user feels comfortable with. You can never judge a book by its cover. It is very important for a buyer to first work on the trial version of the tool. This will help you analyse how well you are able to reap the benefits offered by a tool. Brownie point here is that you a free trial version for both GetResonse and Mailigen is available. 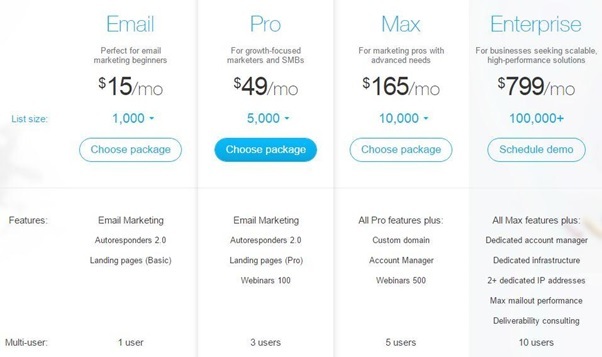 Finally getting to one of the most influential factors, how much will both these email marketing tools cost you? Taking up GetResponse first, the plans start from as low as $10 per month where you can use upto 1000 emails. Mailigen again kicks off the plans from $10, but offers you only 500 subscribers. Though some premium plans of Mailigen are better and affordable. After analysing most of the key features of GetResponse and Mailigen, we would like to put forward our unbiased view regarding choosing one of them. While using both the tools, one can experience that GetResponse is more user friendly and is quite easier to use when compared to Mailigen. Moreover, absence of a landing page creator which I consider an important tool for an internet market again directs my choice towards GetResponse. However, different tools work for different people and I would recommend to get your hands on trial version for both of them and only then come to a conclusion.